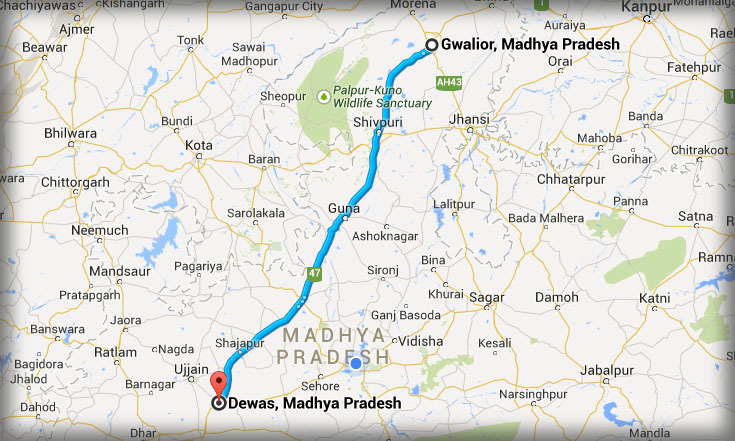 (b) what action the Ministry is taking to complete the four lane project from Gwalior to Dewas? (a) to (c)The traffic density on Gwalior-Shivpuri-Dewas section of National Highway (NH) 3 is varying from 15000 Passenger Car Units (PCU) to 21000 PCU and up gradation work to four lane standard is being taken up in this stretch. Four-laning of Gwalior-Shivpuri section on Build-Operate-Transfer (Toll) basis has already commenced with appointed date of 16.05.2013 and construction period of 2.5 years. Shivpuri-Dewas section was earlier awarded on 12.01.2012. However, the project was terminated by National Highways Authority of India on 07.05.2014 due to non-achievement of financial closure by the concessionaire. Upgradation of Shivpuri-Dewas section to 4-lane is now proposed on Design-Build-Finance-Operate-Transfer basis and the bidding of project (in three packages) is under process and is targeted to be awarded by March, 2015.